Right now, the market is at all time highs, and at some point in the future, it will inevitably pull back. 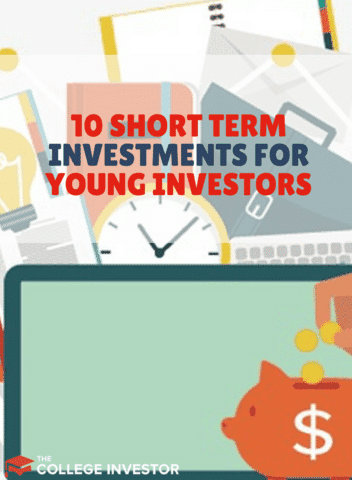 If you're a young investor and don't want to see an immediate decline in your portfolio, now's a good time to consider short term investment options. Short term investments typically don't see the growth of longer term investments, but that's because they are designed with safety and a short amount of time in mind. However, millennials honestly haven't experienced a prolonged bear or flat market. While the Great Recession was tough, millennials have seen their net worth's grow. However, in periods of uncertainty, it can make sense to invest in short term investments. If you're going to be doing those types of transactions anyway, signing up for one of these accounts can make a lot of sense. And to make these accounts even more attractive, interest rates have been rising the last few months making yields go higher. Our favorite online savings account right now is CIT Bank. They offer 2.45% APY online savings accounts with just a $100 minimum deposit! Check out CIT Bank here. Money market accounts are very similar to online savings accounts, with one exception. Money market accounts typically aren't FDIC insured. As a result, you actually can earn a little higher interest rate on the account versus a typical savings account. Money market accounts typically have account minimums that you have to consider as well, especially if you want to earn the best rate. 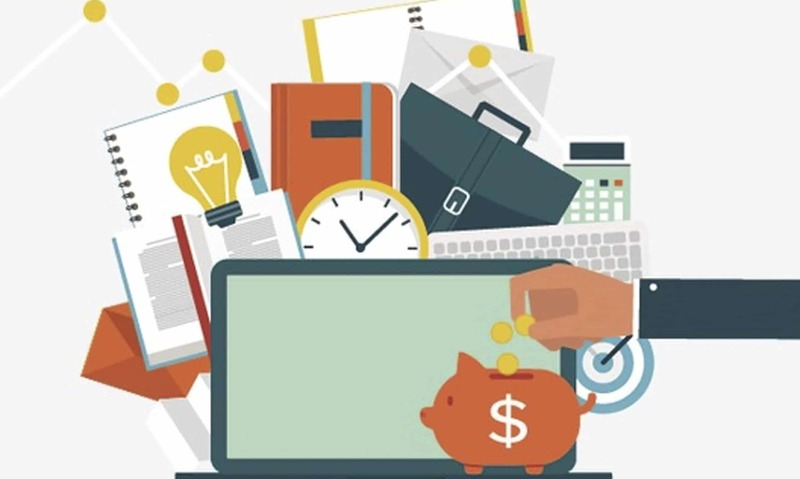 Check out our list of the best online bank accounts for your money. Certificate of deposits (CDs) are the next best place that you can stash money as a short term investment. CDs ​are bank products that require you to keep the money in the account for the term listed - anywhere from 90 days to 5 years. In exchange for locking your money up for that time, the bank will pay you a higher interest rate than you would normally receive in a savings account. The great thing about CDs is that they are also FDIC insured to the current limit of $250,000. If you want to get fancy and you have more than $250,000, you can also sign up for CDARS, which allows you to save millions in CDs and have them insured. Our favorite CD of the moment is the CIT Bank 11-Month Penalty Free CD! Yes, penalty free! Check it out. Moving away from banking products and into investment products, another area that you may consider is investing in short term bonds. These are bonds that have maturities of less than one year, which makes them less susceptible to interest rate hikes and stock market events. It doesn't mean they won't lose value, but they typically move less in price than longer maturity bonds. With government bonds, you're repayment is backed by the U.S. government, so your risk is minimal. However, with corporate bonds and municipal bonds, your bonds are backed by local cities and companies, which increased the risk significantly. However, it's important to note that investing in a bond fund is different than investing in a single bond, and if you invest in a bond fund, your principal can go up or down significantly. Here's a detailed breakdown of why this happens: Buying a Bond Fund vs. Buying A Single Bond. Treasury Inflation Protected Securities (TIPS) are a type of government bond that merits their own section. These are specially designed bonds that adjust for inflation, which makes them suitable for short term investments as well as long term investments. TIPS automatically increase what they pay out in interest based on the current rate of inflation, so if it rises, so does the payout. Floating rate funds are a very interesting investment that don't get discussed very often - but they are a really good (albeit risky) short term investment.​ Floating rate funds are mutual funds and ETFs that invest in bonds and other debt that have variable interest rates. Most of these funds are invested in short term debt - usually 60 to 90 days - and most of the debt is issued by banks and corporations. In times when interest rates are rising, floating rate funds are poised to take advantage of it since they are consistently rolling over bonds in their portfolio every 2-3 months. These funds also tend to pay out good dividends as a result of the underlying bonds in their portfolios. The last "true" investment strategy that you can use in the short term is to sell covered calls on stocks that you already own. When you sell a call on a stock you own, another investor pays you a premium for the right to buy your stock at a given price. If the stock never reaches that price by expiration, you simply keep the premium and move on. However, if the stock does reach that price, you're forced to sell your shares at that price. Do you want a guaranteed return on your money over the short run? Well, the best guaranteed return you can get is paying off your student loan debt. Typical student loan debt interest rates vary from 4-8%, with many Federal loans at 6.8%. If you simply pay off your debt, you can see an instant return on your money of 6.8% or more, depending on your interest rate. Maybe you can't afford to pay it all off right now. Well, you could still look at refinancing your debt to get a lower interest rate and save some money. We recommend Splash Financial to refinance your student loan debt. You can get a $500 bonus when you refinance by using our special link: Splash Financial. Similar to getting out of student loan debt, if you pay off your credit card debt you can see an instant return on your money. This is a great way to use some cash to help yourself in the short term. If you're struggling to figure out a way out of credit card debt, we recommend first deciding on an approach, and then using the right tool to get out of debt. For the approach, you can choose between the debt snowball and debt avalanche. ​Once you have a method, you can look at tools. First, you need to get financially organized. Use a free tool like Personal Capital to get started.​ You can link all your accounts and see where you stand financially. Balance Transfer: If you can qualify for a balance transfer credit card, you have the potential to save money. Many cards offer a promotional 0% balance transfer for a set period of time, so this can save you interest on your credit card debt while you work to pay it off. Personal Loan​: This may sound counter-intuitive, but most personal loans are actually used to consolidate and manage credit card debt. By getting a new personal loan at a low rate, you can use that money to pay off all your other cards. Now you have just one payment to make. Compare personal loans at Credible here. With peer to peer lending, you get a higher return on your investment, but there is the risk that the borrower won't pay back the loan, causing you to lose money. Many smart peer to peer lenders spread out their money across a large amount of loans. Instead of investing $1,000 in just one loan, they many invest $50 per loan across ​20 different loans. That way, if one loan fails, they still have 19 other loans to make up the difference. We are huge fans of LendingClub as a CD alternative, and you can sign up for LendingClub here. Finding short term investments can be tough. It's a bit counter intuitive to invest, but only for a short period of time. As a result, you'll typically see investments with lower returns, but also have lower risk of loss. What are your favorite short term investments? I used to put money in cd’s at times. But now, I just find that the economy is too up and down for me to put in enough money to really see the difference. I use a money mkt fund. For my emergency home repair account, I use Vanguard Limited-term tax-exempt fund. It is good in an environment where interest rates are rising. Peer to peer lending is a great suggestion, I’ve tried something similar but still haven’t taken the plunge to try Lending Club. Adding to my to-do list to check out this weekend. Check it out. You can get started on LendingClub in about 5-10 minutes. LendingClub is my favorite CD alternative.